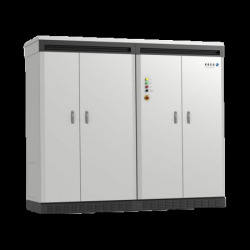 Discover our photovoltaic central inverters series which are the first choice when it comes to usability and return on investment. State-of-the-art, DSP-based technology offers highest performance, reliability and efficiency. A digital interface enables user-friendly operation, maintainability and highly advanced monitoring and communication.